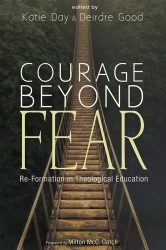 The aim of this book, is to combat actual crises we have survived in theological institutions. We first document responses of resistance to authoritarian structures in student and faculty meditations and sermons. Then through them we identify dispositions in community crises: shock, witness, flight or fight, marginalization, power in community, and forgiveness. 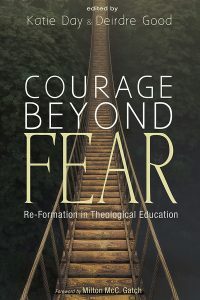 Behind these dispositions we identify strategies: opposition without rancor; shared authority; vulnerability and truth telling; hope without expectation; courage beyond fear; humility without humiliation. The book proposes that these strategies of formation and resistance can be deployed in other authoritarian and paternalistic contexts. This book also describes actual realities behind public statements of institutional changes and catastrophes through process, not outcomes. It is the first description of actual crises in theological schools from student, faculty, and staff perspectives.